Republican State Sen. Phil Fortunato, left, and Democrat Michelle Rylands are running for the 31st District Senate seat. Phil Fortunato led with 57 percent of the vote in Tuesday's general election results. State Sen. Phil Fortunato, R-Auburn, was well ahead of Democratic challenger Michelle Rylands Tuesday night in the 31st District Senate race. Fortunato, a 64-year-old environmental consultant, led with 57 percent of the vote in Tuesday’s general election results. 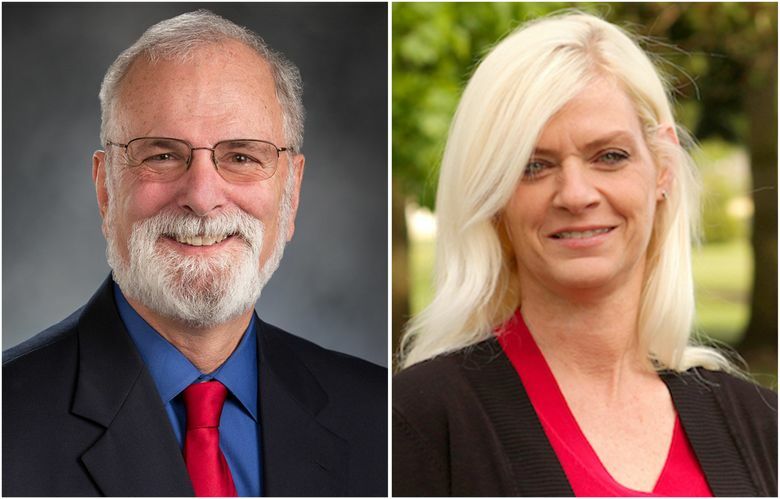 A former state House member, Fortunato was appointed to fill the Senate seat of Republican Pam Roach, who left the Legislature after winning a seat on the Pierce County Council last year. The 31st District comprises the southern part of King County and northern Pierce County. It includes the cities of Auburn, Edgewood, Sumner, Bonney Lake, Enumclaw and Carbonado. Rylands, 49, is a U.S. Army veteran and former King County Sheriff’s Office employee who has been involved for years in the Auburn School District’s PTA.